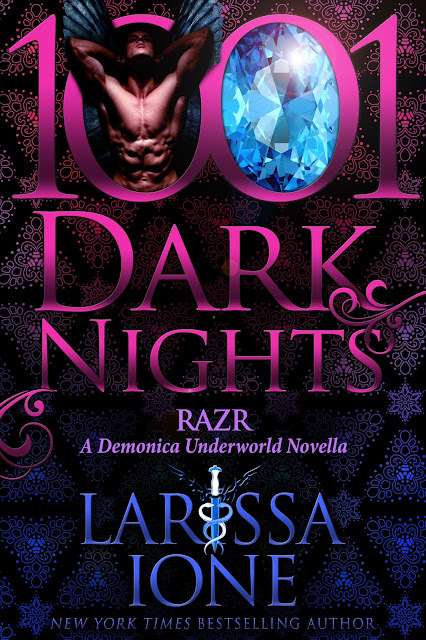 From New York Times and USA Today bestselling author Larissa Ione, comes RAZR, a passionate and spellbinding novella from the Demonica Underworld Series, brought to you by 1,001 Dark Nights! Be sure you grab your copy today! He moved toward Jedda, his pulse inexplicably growing faster as he neared her. He’d been in the presence of blindingly gorgeous females with unmatched power in his centuries of life, and none of them had affected him like this. No, this was different, a mix of attraction and anticipation he would almost compare to battle lust. The thought made him slow his approach, his mind tripping over the implications of that. Was he hoping she was one of the demons responsible for the theft of his property and the deaths of his friends, in which case he’d kill her, or was he hoping she wasn’t involved? And which was worse? Oh, he had no problems with killing demons—it was what he’d been bred for. But it seemed like such a shame to slaughter someone so unique. Or so attractive. Idiot. You never drooled over demons when you were a full-fledged angel. No, he hadn’t. There had been a clear separation of class and species back then. But ever since he’d had his wings bound and his powers muted and had been tossed in Sheoul-gra to serve Azagoth, he’d relaxed his standards. Not intentionally, but he had to admit that living life on the other side of the tracks had given him new perspective. He just wasn’t sure if that was a good thing or a bad one. Jedda looked up as he stopped in front of her. Up close, she was even more beautiful, with full, pouty lips made to stir up some wicked male fantasies. Her fine, perfect features made her seem delicate, fragile, even, but something told him she was stronger than she looked. Which made him wonder how that strength would play in bed. Down, boy. 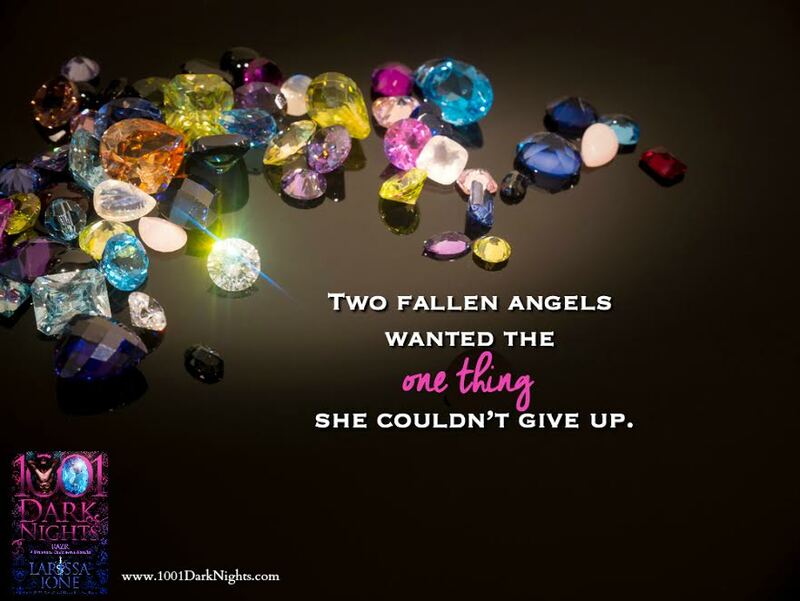 Get what you want and get back to Heaven and females suited to your status. And species. Either she couldn’t sense his species or she was testing him. Either way, he didn’t see any reason to lie. Well, that was mildly alarming. Fallen angels reveled in power and status, which meant that this shindig had probably been arranged for a purpose. An evil purpose.